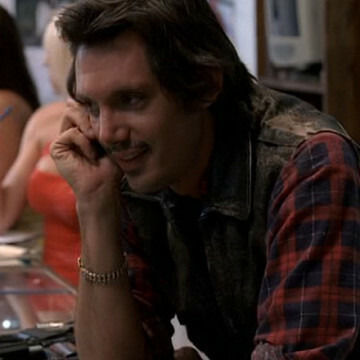 Lukas Haas takes on the role of an amateur writer nicknamed L.B. during two episodes of the show’s fifth season. During his first appearance in the season’s second episode, L.B. shops his Nine Brave Souls script and signs on as Eric’s first writing client along with his friend Nick. During the few Entourage scenes in which L.B. appears, it’s made very clear that he is much kinder and gentler than his outspoken buddy. Lukas plays the part of Nash in 2010’s Inception and owns the role of Daniel Kottke in 2013’s Jobs.